Changes in store? A new Center City Task Force wants to enhance the private sector's ability to do buisness downtown. By now, headlines screaming about Rochester's struggling downtown or the region's failure to retain young people have gotten a little old. Sometimes you've got to experience the news firsthand for it to have an impact. And for City Councilmember Bill Pritchard, that moment came the night before Thanksgiving. "That night used to be one of the biggest nights of the year --- probably in all the bars, but particularly in the gay community," Pritchard says. "Gay bars were packed before Thanksgiving. Our friends and my partner went out to three or four different gay bars in town that night. And all of them were dead. In one or two of them, they were literally the only people in the bar. I was shocked. My partner was shocked. Our friends were shocked." And to Pritchard, the slow night was just one symptom of Rochester's continuing struggle with its downtown. "That's the effect of losing so many people in their 20s and 30s," he says. "And that just has ramifications, a ripple effect that you don't appreciate until you see it for yourself." "Five years ago, the bars would have been hopping," says Pritchard. "When I count the number of close friends who have moved out of the area... it is a very serious problem. The reality is that we need to do everything we can to make young people's stay here a pleasant one, so if they do move out of the area, when they're thinking of beginning to raise a family, they come back. That's how you expand your tax base. It isn't by continuing the turnover of apartments in buildings that already exist. It's keeping properties on the tax rolls, and it's having the bodies to patronize the stores and other businesses we have in the area." Pritchard wants to do something about all that. And now he's going to get his chance. At the beginning of December, he was chosen to chair a new Center City Task Force, which includes Councilmembers Wade Norwood and Adam McFadden. 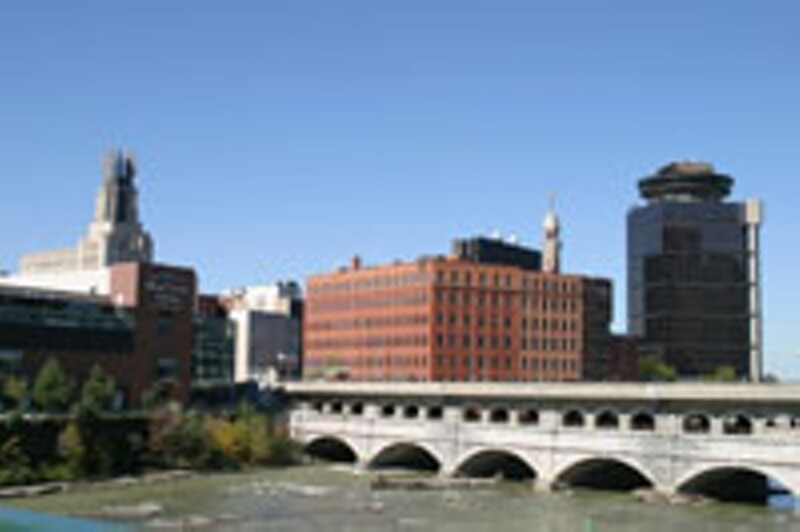 While the idea of forming a task force to address one of Rochester's pressing concerns is nothing new --- no doubt the term "task force" has become a laugher in certain circles --- the Center City Task Force has a couple of unique qualities. "I don't want anybody to come away with the impression that this is just one more task force, one more government group," Pritchard says. "We are not reinventing the wheel. This is not about just listening and talking and discussing. This is about doing." And when it comes to doing, the task force has its votes on City Council as a way of influencing the downtown scene. After meeting with private developers, for example, Pritchard, Norwood, and McFadden will be able to propose new city legislation --- and push downtown's new and highly flexible zoning code --- to make Center City more enticing to those developers. The task force also has a relatively short lifespan: 13 months. "The bulk of the success coming out of the next 13 months is going to be coming out of the private sector and through the people we work with collaboratively," Pritchard says. "We might make one change in city government that enhances the private sector's ability to do business." Of course, it's not that simple. The CCTF will be attempting to make legislative strides while sections of downtown sit in a deep state of flux thanks to the evolving Renaissance Square project and other mammoth uncertainties like largely vacant Sibley Building and Midtown Plaza. When it comes to a project like Renaissance Square, which has the potential to drastically alter the downtown landscape, the CCTF can play "a lead role" in pushing the opportunity for spin-off development. "Whether Renaissance Square is built or not, the areas around that block are still going to be there," Pritchard says. "You have some really good real estate there. But we can't hold off discussion of the areas around Renaissance Square until we know that project's going to go forward, be funded, and ultimately be built." Then there's retail, which has not had a major presence downtown since the decline of Midtown and Sibley's. The task force can play a role in attracting retail back to downtown, Pritchard says, but it's not about to go courting the chains or breaking the city's bank with incentives. "I think the time has come where there's enough interest in downtown that we don't have to open up the cookie jar," he says. "And I think we're making a mistake when we look at the kinds of retail stores you'd find at the malls. We are never going to be able to compete with the suburban shopping malls on certain points, like parking. It's just a fact of life. So let's not bring something in to downtown that already exists in the suburbs. Let's encourage unique, locally owned shops. And maybe we'll push for a reduced-sales-tax or sales-tax-free zone for downtown for a defined period of time. But if we think we're going to encourage people to come to Kaufmann's in Midtown as opposed to Marketplace or Eastview, forget it." But the first item on the task force's agenda is another long-time downtown frustration: parking. Metered parking downtown is limited, to say the least. And most parking options are in paid parking garages. The city commissioned a study on downtown parking two months ago. Pritchard expects to see the results early next year, and improving the parking situation downtown, he says, "will probably be one of the first legislative actions you'll see coming out of Council." Specifically, the task force will consider adding more of the free 30-minute parking spots sprinkled throughout downtown, as well as special arrangements with business owners for the occasional use of the spaces in front of their shops. "A couple of months back there was a business owner on Liberty Pole Way who was doing some work on his business," Pritchard says. "Guys were parking in front of his building because construction trucks needed to unload. And he got a ticket. He said, 'It's not that I can't afford to pay the ticket. But I'm making hundreds of thousands of dollars in improvements to my property. I'm investing in the city. And now I've got to deal with this.'" The limited lifespan of the task force is deliberate. Pritchard wants to see accomplishments, and he wants the task force to be judged by its actions specifically. "Our goal is not to hold a whole bunch of meetings," he says. "It is to grab hold of the plans that already exist, the ideas that have already been expressed, and begin to implement them, break them down into short, medium, and long-term objectives. We have 13 months. I want accomplishments in those 13 months."